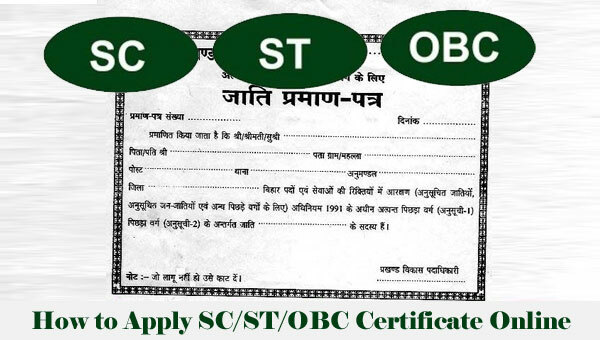 The caste certificate is issued by the government to certify that the person to whom it is concerned belong to a certain community or caste. The caste certificate gives certain facilities to the people of backward classes. The process to apply for the caste certificate has been made quite simple by the government of Bishnupur, Thoubal, Imphal East & West, Senapati, Manipur. The details are given below. He or she must be a permanent resident of Manipur for more than 5 years. Visit the official e-services website of Manipur by clicking the link https://eservicesmanipur.gov.in/eda/. You will find the citizen login option on the homepage itself. Click on the option ‘Click here to Login with ePramaan. Now, you will get the option to create a new account. You can register and create a new account using your driving license or aadhaar card. You can certainly do the registration without them but that is not recommended. After completing the registration, log in the portal using your id and password. When you are logged in, click the option services and select e-District Manipur. Choose Caste services from the options provided there. Fill up the application form with accurate details. Then upload scanned copies of all required documents and your passport sized photograph. After submission, an acknowledgment slip will be generated. Take a print out of it as the acknowledgment number will be required to track your application later. Visit the office of Deputy Commissioner and ask for the application form. Fill up the form, attach all required documents and submit the form. Don’t forget to take the acknowledgment slip. You can track the application by clicking the link https://www.eservicesmanipur.gov.in/eda/common_status.xhtml. You can also download and print out the form by visiting the link https://www.eservicesmanipur.gov.in/eda/verify_download_certificate.xhtml. Proof of Address: Voter ID card, Ration Card, Aadhaar Card, PAN card, etc. Proof of Identity: Driving License, PAN Card, Aadhaar card, Voter ID card, etc. Affidavit required proving the relationship between the applicant and the certificate holder. Local Authority Certificate proving that the applicant belongs to certain caste or tribe. In some doubtful cases, proof of citizenship required.